When I was a kid, I would design websites on scrap paper my mom brought home from work. Things haven\'t changed much because I still love designing websites and much more, like brochures and products. Basically, illustration and graphic design has been my passion my entire life, and continues to be so. Redesign with new logo and rebranding of a local company. Goal was to bring something new graphically to the world of optometry. 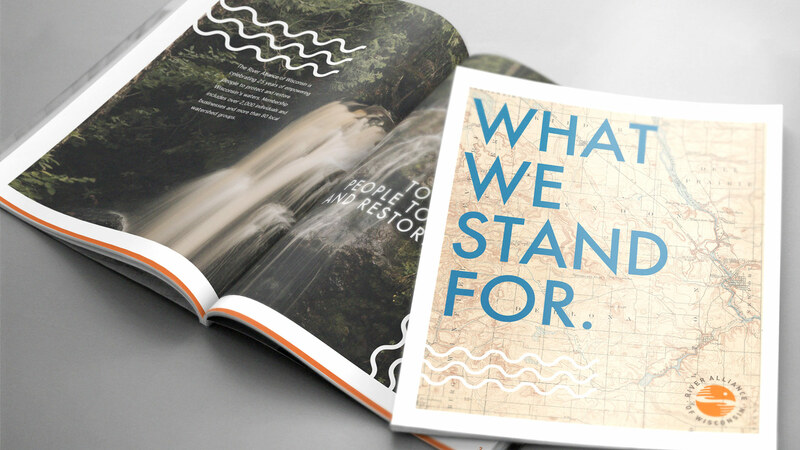 A brochure done to bring awareness of what the River Alliance exists to do. Goal was to create a modern and fresh product that was eye catching and easy to read. I frequently use illustration to add to my design work. 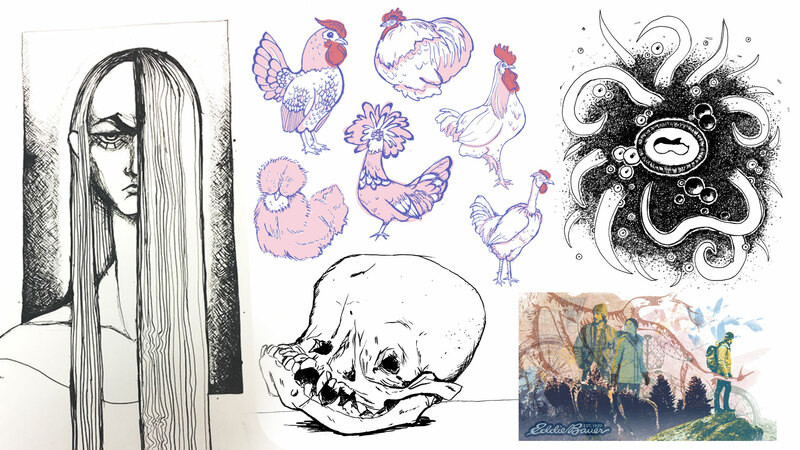 Most of the time I do pen and ink drawings, but I also occasionally do vector illustrations and photo collages. 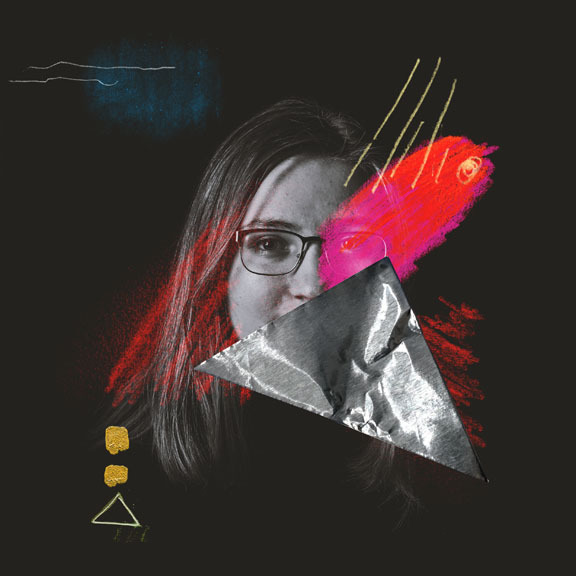 Winner of the Spring 2019 Logo in a Day challenge put on by the Creative Arts Collective at Madison College. 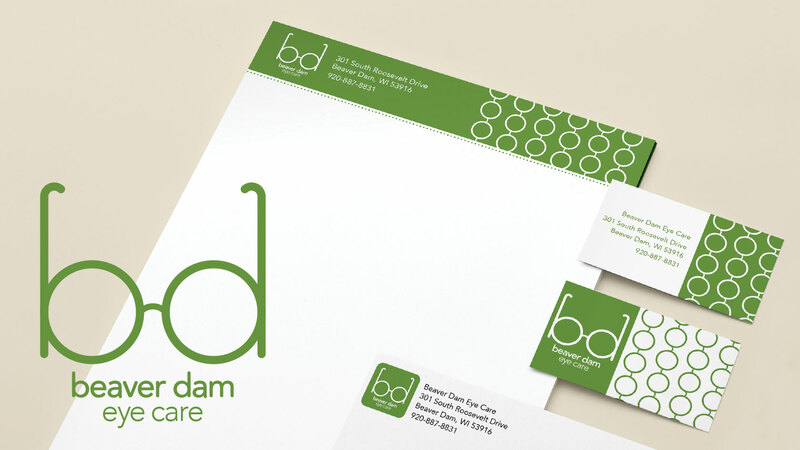 The challenge was to create a potential logo for a local client from concept to a finished product within a day. 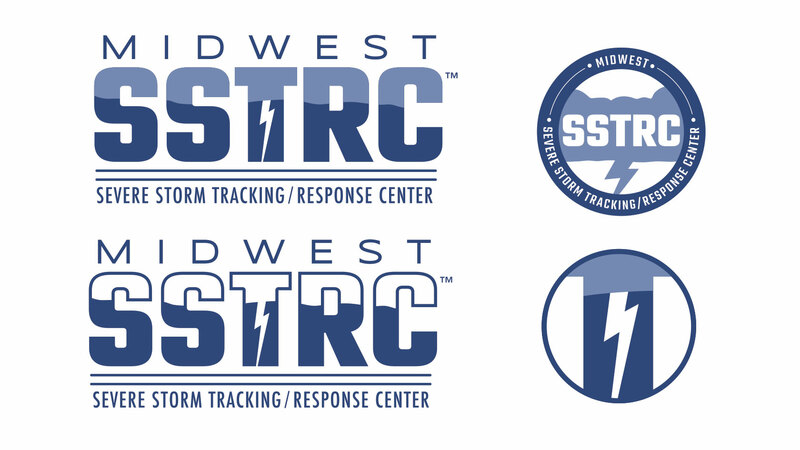 I decided for this logo to stay within their current color palette of blue and white, but with a more modern and clean look. I also created alternative logos that were similar to the main logo for the client to use in different situations. 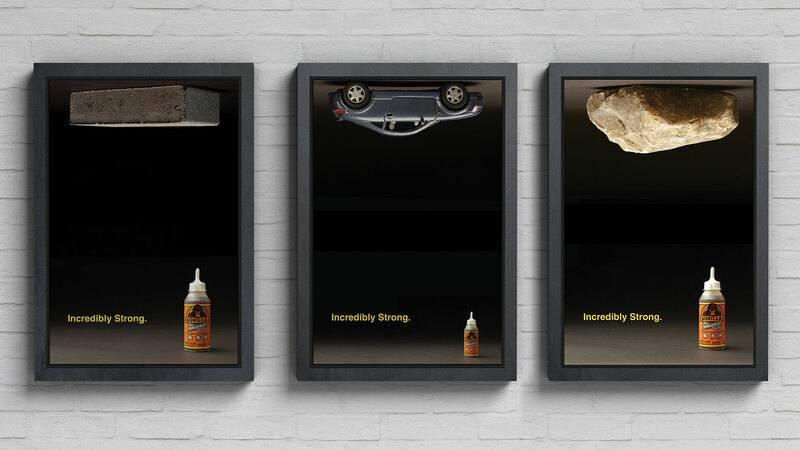 An ad series showing off the strength of Gorilla Glue. Goal was to concept and create a striking advertising campaign that was both clever and eye catching, as well as art directing and successfully photographing what was needed for the series.